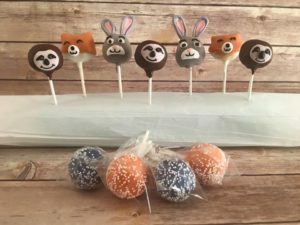 Check out these little cuties made for a Zootopia themed birthday celebration by a customer who recently moved into town and contacted Hidden Gem Cakes for a last minute order. Hidden Gem Cakes in Phoenix will always try to help out when you get in a bind. Sometimes last minute cake orders are necessary by no fault of your own. Don’t fret! We are here to help without outrageous rush fees. Give Sarah a call and if we can make your cake, we will! However, with Fall approaching and the holiday season right around the corner, we do get very busy! 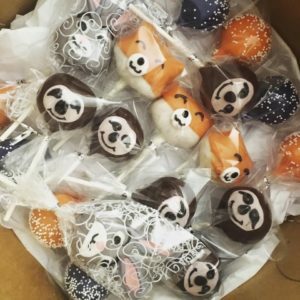 If you have a large order, a custom cake request, or a set date, contact us ASAP to secure your sweet treat. Visit us on Facebook to see our most recent creations!